Since opening his office in 1994, Dr. Francis Vesci has taken care of the health needs of New Britain families. Dr. Vesci offers his patients a structural approach to wellness care, changing lives one by one. Even though Dr. Vesci was only 10 years old at the time, he observed his brother’s turnaround and the massive shift it created in his family’s outlook on health. This successful outcome shaped his decision to choose chiropractic as his life’s work. 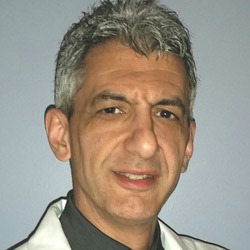 After finishing his undergrad study at Central Connecticut State University in New Britain, Dr. Vesci went on to complete another four years of postgraduate study. He earned his Doctor of Chiropractic degree from Western States Chiropractic College in Portland, Oregon. The combination of academic challenge and the holistic health care approach he was exposed to inspired him to excel in his chosen profession. Dr. Vesci served as the president of the Connecticut Chiropractic Association from 2012 to 2015. He also earned fellowships from The Complimentary and Alternative Medicine Institute and International Academy of Medical Acupuncture. Dr. Vesci helps his patients get out of pain and make lasting changes in their health. His gentle, compassionate care is designed to get you out of an endless cycle of suffering. Contact our friendly office today. We have the tools to make a difference!